Deep, Tech, Progressive, and Dance. House. That’s how Keven Bobby describes his sets as a DJ. Not afraid to venture too deep, or travel into melodies that speak to the heart, his emotive musical selections are his own therapy. This translates into sets where he picks apart and infuses together all the pieces of this music that he loves best: dark thumping bass lines, dainty backdrops, beautiful synth work, and occasional vocal hooks… all on top of a prominent foot-shuffling house beat. As an active member of local and even not so local communities, Keven Bobby is no stranger to the ups-and-downs of the music scene in a big city. 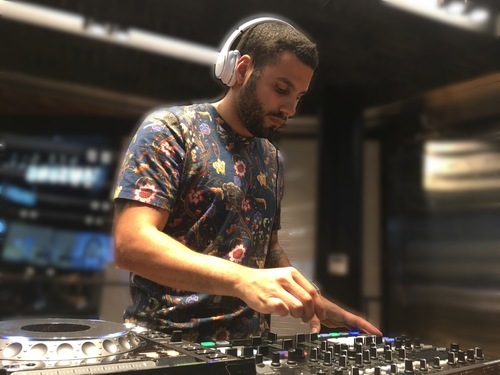 His love for House music has brought him to nightclubs and festivals, but the allure of the underground house scene also has him spinning at Warehouse and Loft events. It can range from something funky and bouncy to deep and interstellar. I went to my first festival when a friend convinced me to give House Music a chance... there was no turning back. Generally ages 18 - 35 - Fun, sociable, in the fashion, film, or tech industry. The End (The Doors), Get Low (remix - Diplo), Heads Will Roll (A-Trak Remix). EDC - great energy, and come on...Vegas. Nothing too crazy yet besides all the inebriated people. Do your research and make sure you get to know your DJ as a person as well to better suit your needs and atmosphere. Book me, I'm cheeky and fun.